Did you know that when kids are surveyed, their 2nd favorite holiday is Halloween? We probably shouldn’t be surprised since it involves a lot of candy! But it really is a fun day, with tons of spooky parties, decorations, and costumes. 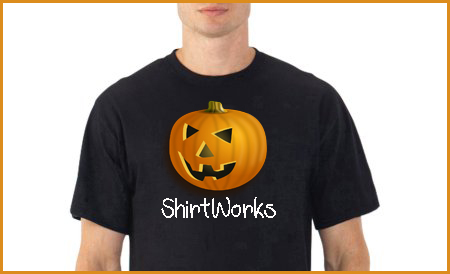 Custom T shirts are very popular on Halloween and we’ve been creating clever shirts, hats, and other creative things for people all around the Chicago area since 1976.